What are the factors that determine how central governments respond to demands for independence? Secessionist movements are numerous and quite varied in form, but the chief obstacle to their ambitions is the state itself, which can deny independence demands, deploy force if need be, and request that the international community respect its territorial integrity by not recognizing the breakaway region. Age of Secession focuses on this crucial but neglected moment in the life of a secessionist movement. 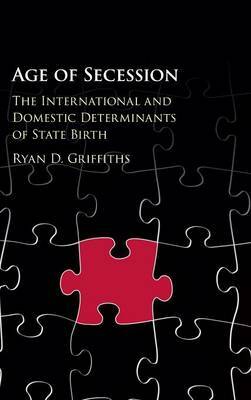 Griffiths offers a novel theory using original data on secessionist movements between 1816 and 2011. He explains how state response is shaped by international and domestic factors, when conflict is likely, and why states have proliferated since 1945. He mixes quantitative methods with case studies of secessionist movements in the United Kingdom, Russia/Soviet Union, and India. This is an important book for anyone who wants to understand the phenomenon of secession.